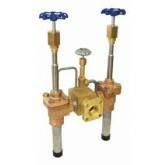 JTC Valve Sales carries RegO® high quality Cryogenic Fill Manifolds. Brazed or welded assemblies, they are ideal for the original equipment manufacturer of bulk cryogenic vessels. 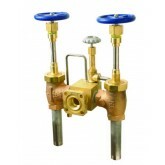 Available is wide variety of valve types including union or bolted bonnet, bronze or stainless steel bodies & top works and piping of stainless steel or copper construction are available as production unit. Ideal for all cryogenic liquids including Liquefied Nitrogen, Oxygen and Argon. 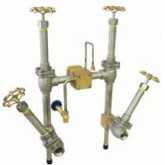 Safe and reliably used in LNG Systems. Pressure Rating: SFM Series 725 PSI (50 bar) – CFM Series 600 PSI (41 Bar). There are many options available which include redundant isolation valves or specific end user dimensions and specifications. Cryogenic Bulk Fill, Bronze, Bolted Bonnet 1-1/2"
Cryogenic Bulk Fill, Bronze 1"
Cryogenic Bulk Fill, Bronze, Bolted Union Bonnet 1-1/2"
Cryogenic Bulk Fill, Bronze, Bolted Bonnet, Copper 1-1/2"
Cryogenic Bulk Fill, Bronze, Bolted Bonnet, SS 1-1/2"